Don Wilcock has our featured interview with Zac Harmon. 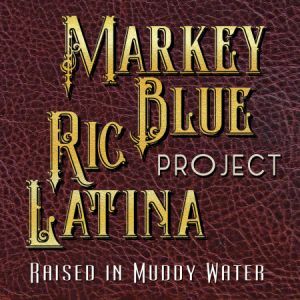 We have 8 Blues reviews for you this week including new music from Markey Blue Ric Latina Project, RoHarpo The Bluesman, Emily Burgess, Hamilton Loomis, R.L. Boyce, Sue Foley, Roger Girke And The Wandering Souls and OTIS. Zac Harmon is a Renaissance man. 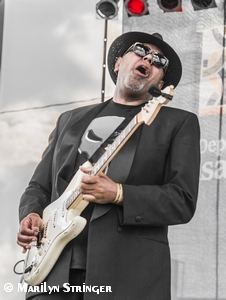 Singer/songwriter/guitarist and producer, he’s written songs for artists as disparate as Evelyn “Champagne” King, Freddie Jackson, The Whispers, K-Ci & Jo Jo, and The O’Jays. He was nominated for a Grammy for producing Black Uhuru’s Mystical Truth album and was a staff writer for Michael Jackson’s publishing company. 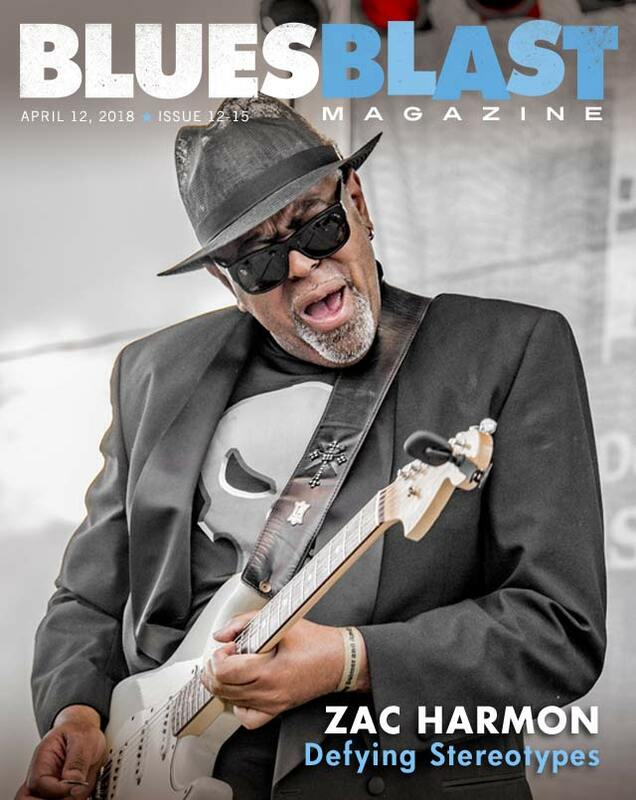 He’s working on his sixth blues album, co-writing songs with John Hahn, Shemekia Copeland manger and principle songwriter. Yes, Zac Harmon grew up in Mississippi, but his early years were hardly stereotypical. Zac’s father was a pharmacist whose customers included Muddy Water and Sam Myers. Both parents have college degrees. Dad told Zac he didn’t care what he ended up doing for a living, but he wanted him to get an education. “Dad was a harp player. So, it wasn’t that he felt that music was bad. It was that he felt there was something better, and he wanted better. Being in Mississippi, he didn’t know many musicians that were very successful. “I have one master’s degree, and two undergraduate degrees. What you will find out, Don, is that there are a lot of guys out there that at least have undergraduate degrees that are playing the blues that you don’t really know about because sometimes they feel like it’s not politically correct to be educated and play the blues and it’s not politically correct to have all your teeth and play the blues. “That’s part of the issue here in America. We get so caught up in stereotypes, and one of the things I experience in Europe is they just let the music be free, especially in France. Sometimes, they get a little bit too free, ’cause some of the bands playing stuff over there sound like they’re just throwing pots and pans. “It wasn’t that my dad thought it was something inferior. It’s just that he wanted better for me. My dad wanted me to be a doctor or a lawyer because in his eyes from his perspective, those were the more desired occupations that he would want his son to have, but I was a musician, and that’s what’s in my heart. That’s what’s in my blood. “I made up my mind that I was never gonna be any of those basic stereotypes like musicians drinking and doing drugs and things like that, sleeping all day, you know, and that type of image was never gonna be my image. I’ve never been late for a show. I’ve never been late for an interview. No one has ever had to wait on me. No one has ever had to worry about whether I was going to be prepared when I came ’cause that’s just part of who I am. Zac smashes another stereotype. Even though he studied under Sam Myers, one of his dad’s pharmacy customers and a close friend, he ended up writing songs for the likes of R&B artists far removed from the blues spectrum and was Grammy nominated for a reggae album. 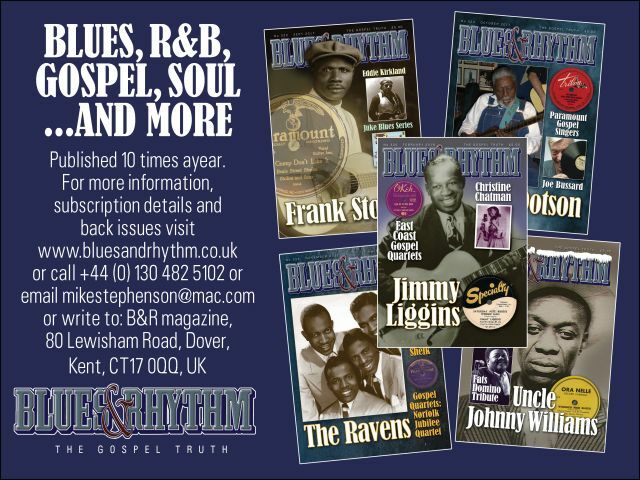 “Let’s remember what Willie Dixon said, ‘Blues is the roots. Everything else is the fruit.’ It’s almost like skipping all – what is that thing you give kids – Hooked on Phonics? It’s like skipping all that stuff and trying to read. It’s not saying you couldn’t ever learn to read, but it would be really, really difficult, and the thing about blues is blues is the roots, man. 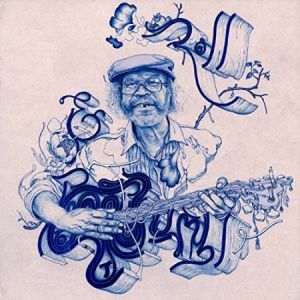 Blues is the root of all this western culture music, and if the root is where you come from, then it’s easy for you to do all the other stuff. The other stuff is easy. “It was easy for me to do that other stuff. The only thing I ever had any reservations about was when I worked with Black Uhuru because I had so much respect for them that even though their record company had called and asked me to work with them, I was apprehensive because their music is so pure. I felt like who I am, a blues guy from Mississippi? Who am I to produce this reggae record? “I got the ticker? What’s he talking about? I got the ticker. That wasn’t the first time that happened in Zac’s career. His very first production was a group called the Whispers, a really big R&B group in the ’70s and ’80s. Europeans understand and accept American blues musicians who don’t fit the stereotypes. Zac has spent a lot of time performing overseas. I asked him if the European acceptance is because blues is all around us, and we don’t appreciate it. It’s not special to us, but to them it is. “I think that’s part of the contributing factor, but the other part of it is we have lost the respect for the essence of the blues, the creative legacy of the blues. 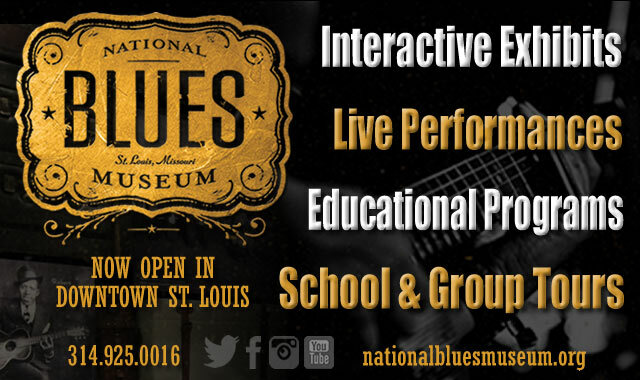 Musicians, especially young musicians, want to play the blues and want to do their thing. So, the problems in America has not been with enough people playing the blues or enough people happy with the blues. The problem has been with the presentation of the blues in America. 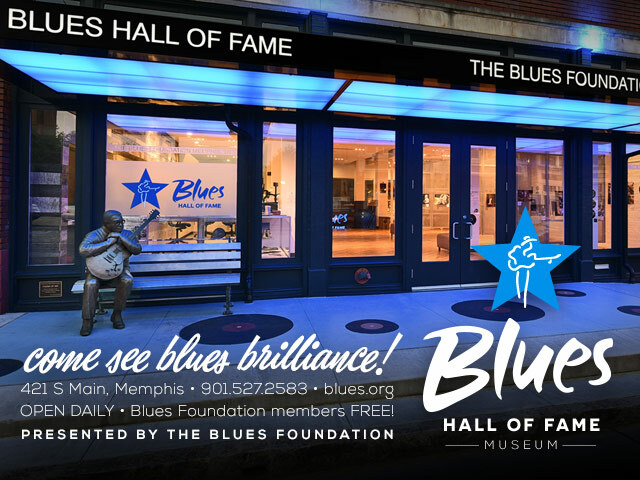 We have a tendency in America to get so far out ahead of the game with the blues that we start showcasing a lot of blues, and we forget the legacy of the blues. There’s also the question of political correctness in the “business” (my words) of blues in America. We talked about Christian “Kingfish” Ingram recording his first album with Tom Hambridge co-writing with him. 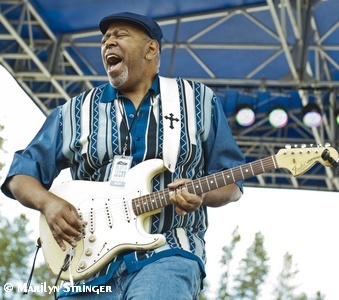 Hambridge has written a lot of songs for Buddy Guy’s recent albums. 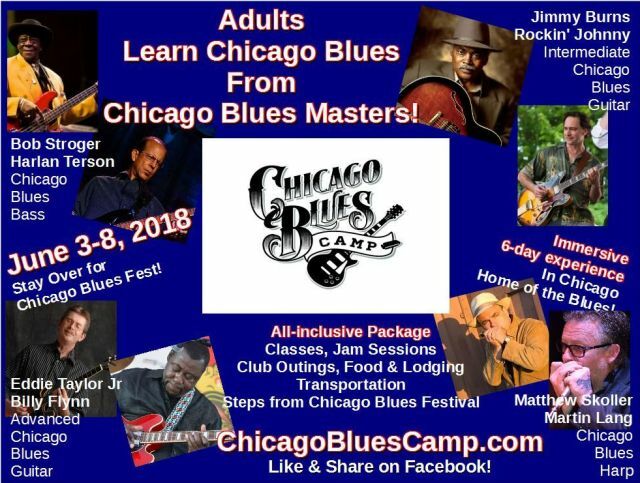 “The only reason you’re going to hear Christian Ingram is because Buddy Guy wanted him to have help recording a record, and so he calls on Tom Hambridge and nothing against Tom Hambridge. He’s a friend of mine. He’s a great guy, but why does he need Tom Hambridge to write songs for him? Zac is currently co-writing the songs for his next album with John Hahn who has written some of Shemekia Copeland’s best songs. “John and I writing together is like the perfect marriage of husband and wife and I ain’t the wife. (laugh) Anyway, I’m just saying we write so well together that it’s incredible. One of us will get an idea and will say, ‘You know about this and this,’ and we’ll start talking about it. While we’re talking, we’ll start writing and the next thing you know, we have written a song. These are not just fly-by-night songs. These are serious songs with serious lyrics, serious stories, and so right now I’m having a lot of ’em. Next weekend I’m going to record the first one that we wrote which is called “Finding My Way Home,” and this song is about a conversation we had about Vietnam veterans. “John and I in 2008 went to Iraq together and we did the Bluesapaolooza tour over there (with Shemekia Copeland, Janiva Magness and other blues acts), and one of the things we learned when we first got over there was that some of those who came over to “entertain the troops” were actually only going to Kuwait and doing the big camp in Kuwait. They never would go into Iraq. So, those guys that were on the front lines that were out in what they called FOBs, those guys never got a chance to be entertained. They never got anything like that. “So, we decided, guess what? We’re gonna go into Iraq. We’re gonna go out and entertain everybody we possibly can, and that’s what we did. So, that kind of started a conversation between John and I about our military, and I was like most Americans. I was a breakfast table commentator about what the military did and so forth and how dare you do this and how dare you do that, and then, I gotta tell ya, it was such a moving experience to go over there and realize that these guys put the “P” in patriot because these guys are not political. I always say this. I didn’t see one Republican flag when I was over there. I didn’t see one Democratic flag. I didn’t see one Tea Part flag. I only saw the flag of the United States of America. That really touched me. “I had a guy over there who was assigned to be my body guard. He was an 18-year-old soldier, and I spent a long time with this guy, and he asked me what my favorite song was. I know a lot of songs, so I said, ‘I don’t really know,’ and I asked him what his was, and he told me “Knocking on Heaven’s Door.” I asked him why, and he told me because he was a mine sweeper, and every day when he went on patrol he wanted to feel he was knocking on heaven’s door, and that touched me so much that what I decided to do was every show I’ve done since then, every show I’ve done since 2008, I do a special tribute to our American soldier. “When I started doing that tribute tour a lot of guys were coming up to talk to me, well, most of the guys were Vietnam veterans, and they were so thankful. They were so thankful, Don, And the reason they were so thankful was because no one had ever acknowledged them like that. All they got when they came back from Vietnam was, ‘How dare you. Look at what you did.’ That is what they got. Pain, and the catharsis blues brings to soothe it, are important to its success. 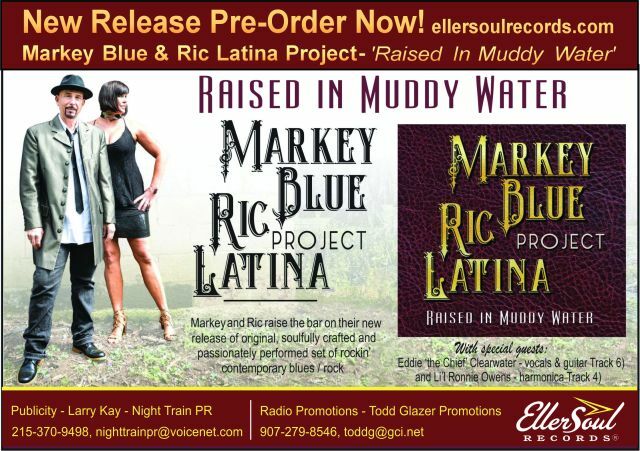 Since forming their partnership about four years ago, showbiz veterans Jeannette Markey and Ric Latina have built a rock-solid following with their original brand of music that blends traditional blues, soul, swamp, rock and roots. And this album, which features contributions from Chicago legend Eddy “The Chief” Clearwater and other heavyweights, proves again beyond a doubt that star’s still on the ascendant. But that should come as no surprise for anyone familiar with the duo. A native of Hemet, Calif., Markey is a full-throated alto who got her start as a Las Vegas showgirl at age 19 and worked with a virtual showbiz who’s who as a singer, standup comedienne and actress. In the blues, she’s worked with Taj Mahal, Anson Funderburgh, Delbert McClinton and Bobby “Blue” Bland. One of the top sessions guitarists in Nashville, Latina is a Rhode Island native who’s made a name for himself as a bandmate of country stars Waylon Jennings, Hank Williams III, Suzy Bogguss and others and is a stylish axe man who delivers tremendous emotion in only a few, well chosen notes. Heavily influenced by Robben Ford, Larry Carlton and B.B. King, he was fronting his own R&B/jazz/blues-rock outfit, The Bomb Squad, a Music City favorite, before hooking up with Markey. The duo met by chance when they were backing other artists booked on the same show about five years ago and started working on a songwriting project that resulted in a four-tune eponymous EP. Exhibiting a strong Memphis/Stax influence, they served as the opening act for Steve Cropper one night. They performed one tune in particular that he loved so much, he said he couldn’t get it out of his head. Their resulting relationship proved so strong that he wrote the liner notes for Hey Hey, which was a 2015 Blues Blast Music Award nominee for best debut album. 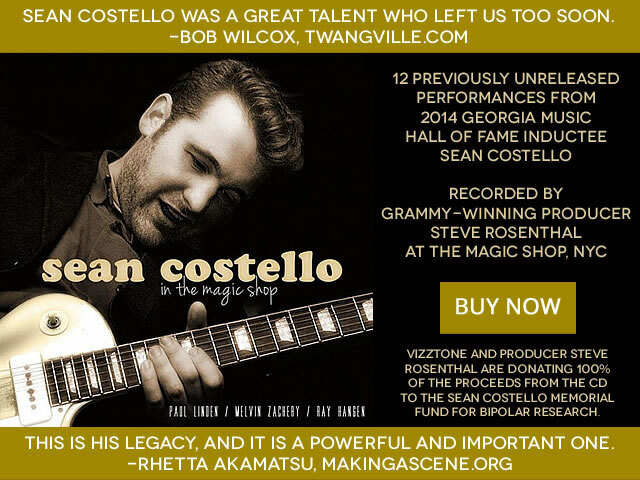 Other honors have followed, including a 2016 BBMA nomination for the Sean Costello Rising Star Award and four nominations for the Independent Music Awards, and eight of their tunes have been picked up for TV and movie airplay. This all-original CD is the third in their catalog, and the first on the EllerSoul imprint, following the well-received The Blues Are Knockin’, which was released under their former band name, Markey Blue. 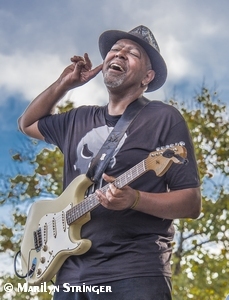 The lineup for this one includes drummer Marcus Finnie, timekeeper on Taj Mahal and Keb’ Mo’s 2018 Grammy winning TajMo, as well as Tim McGraw’s bassist, John Marcus, Charlie Daniels’ keyboard player Shannon Wickline and a horn section comprised of Jim Williamson (trumpet) and Doug Moffet (sax). 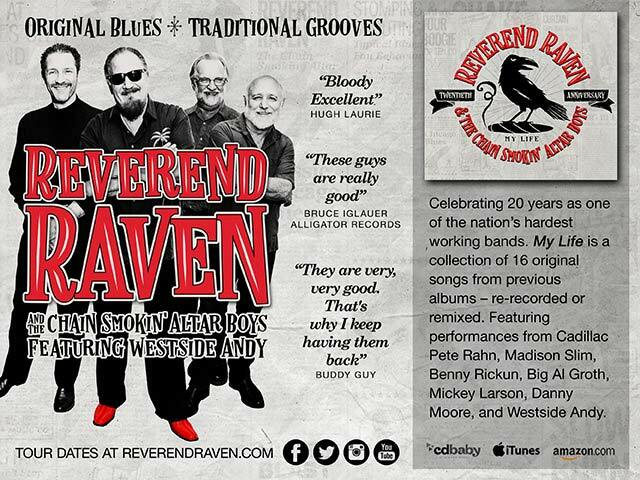 Brian Allen (bass) and Wes Little (drums) appear on the final cut, a live bonus track, Blues Hall Of Famer Clearwater shares the mike with Markey and trades licks with Ric on a duet, and EllerSoul label owner Lil’ Ronnie Owens adds harp to one track. Latina gets right down to business on six-string to open “Raised In Muddy Water” and takes you straight to the Delta before Markey launches into a description of “a king without a castle, a man without a name” who’s “turned and walked away from his God-forsaken land.” The funky “Corrina Shine” serves as a smooth Southern rock tribute to Taj, influenced by one of his most enduring original love songs, “Corrina.” Another tip of the hat follows, this one to John Prine, in “A Little More I Die.” It’s an unhurried slow blues account of an aged couple who’ve lost the ability to communicate after so many years. Latina’s mid-tune single-note solo is simple, but spectacular and deep. The medium-tempo shuffle “Red Room” features Owens as it describes someone trapped and deprived of all her desires before “Mississippi Soul” takes to straight to bayou before the slow blues “Walking Over This Line” describes the bitter end of a love affair. “I Like It Like This,” featuring Clearwater, describes the positive side of a relationship with he and Markey heaping praise on each other’s good traits. His six-string interplay with Ric shines. “Tears All Over The World” urges love and understanding across a troubled planet. It flows smoothly into the jazz-flavored love song, “When I Close My Eyes.” A tribute to McClinton, “Come And Go,” features Latina on slide before the live-recording bonus track, “Drowning In His Ocean,” brings the disc to a close. 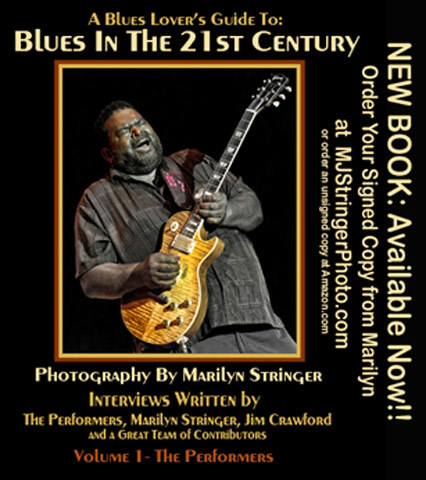 Available through Amazon and other online retailers, Raised In Muddy Waters is a straight-ahead soul-blues treasure of new tunes just aching to be heard. Strongly recommended. 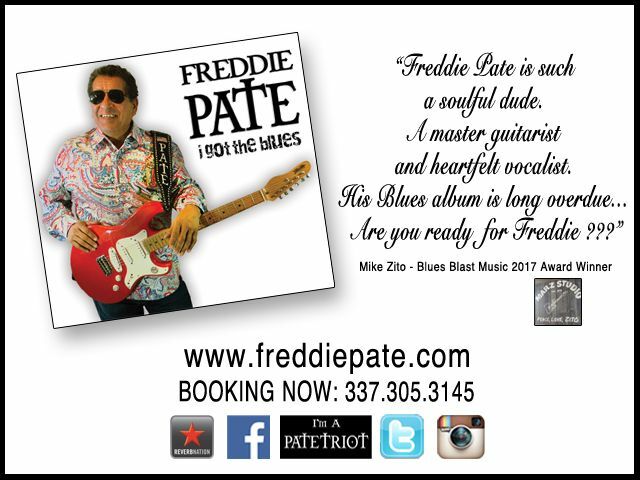 Unfortunately this CD reached Blues Blast with no information other than the single sheet cover which gives the song titles but nothing else. 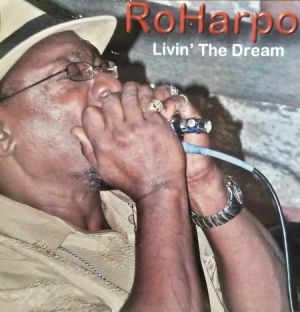 It is not therefore possible to credit any musicians other than RoHarpo who it is safe to assume handles vocals and harp; drums, bass and keys are also present. There is also no indication of a release date though his website reveals that a CD release party was held on 27 February 2016! The website also states that Ro was born in Baton Rouge, Louisiana but is now based in Sacramento, California. The overall style here is blues with a dash of funk, Ro playing plenty of harp throughout. There are no writing credits but several songs are re-workings of familiar tunes such as “Treat Me So Mean” (with a spoken section that recalls Barry White) and “Give Me Back My Weave” which is Hound Dog Taylor’s tune with one word changed. Opener “In Love” is more of a funky tune with some nice guitar accents and “Give Me Your Hand” is a fast shuffle. “Shake What You Got” is a strange track with a lower sonic quality, Ro’s vocals sounding rather distant and an annoying synth riff coming from the far right of your headphones. Things improve with “I Can’t Trust You” as Ro plays some gentle harp on a slower song in which Ro’s relationship seems to be falling apart. Two longer tunes follow: “Let It Be What It Be” has another spoken vocal, this time recalling Isaac Hayes, and some horns in the background; “Tears In Your Eyes” appears to be a live recording (with a noticeable drop in sound clarity – the recording also picks up someone answering a cell phone in the background! ), a slow soul-blues ballad which Ro delivers well though at over eight minutes it does outstay its welcome. We return to studio recordings for “What Is It You Like About Me”, a shuffle with good harp work, and “Don’t Put Me In A Spot”, a stripped-back fast tune with Ro’s harp backed by just guitar and tambourine. Overall nothing special to discuss here but plenty of harp to enjoy. It is a pity that there was not more information to pass on to readers to help to explain the background to the disc. 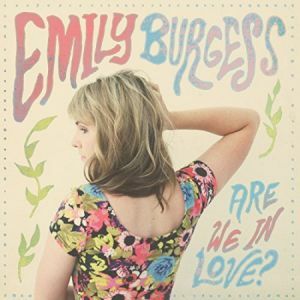 Emily Burgess – Are We In Love? The first solo release from Canadian singer-guitarist Emily Burgess finds her hushed vocal tones mining a new genre of music: pop blues-rock. Rock and blues-rock guitar inhabit light songs that mainly deal with aspects and trials and tribulations of love. The flower power cover contributes to the vibe. The guitar playing isn’t bad, even bluesy at times, but the overall effect for me is a wishy-washy feeling. Her wispy and in-distinctive voice seems out of place. The band is the standard guitar, bass, drums and keyboards. The Weber Brothers, whose band she plays in, contribute guitar, bass, vocals, co-songwriting and co-production duties. Nothing here stays in your musical memory. “Arrested” features a really interesting guitar riff. On a pop-rock level much of this album works. Hey, “Stand Up For Your Love” works quite nicely as a pop-rocker as well. Acoustic and electric guitars ring over what sounds like a bowed upright bass on the trippy closer “What Has Been Is All Within”. Ok, this kind of music doesn’t do anything for me, but so what? There are plenty of folks out there who would probably eat this stuff up. The guitar skills juxtaposed against light weight vocals and sappy lyrics just don’t ring true for me. The production values and sound quality are there. I just don’t get it. If it works for you, more power to you. 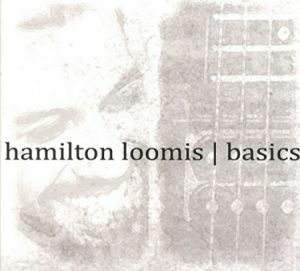 Texan Hamilton Loomis presents a very rhytmic funk-R&B-soul album with barely a hint of blues. Think Prince with the occasional blues harmonica. He possesses a hearty and soulful set of pipes. Loomis wrote or co-wrote all of the songs. He plays mostly rhythm guitar with an occasional guitar solo. He supplies keyboards as well. Fabian Hernandez adds saxophone at times. The first track and the CD itself is dedicated to bringing awareness to the rare disease Congenital Hyperinsulinism(HI) that his son Bo Jordan was diagnosed with. “Sugar Baby” is an infectious slice of funk spotlighting Hamilton’s delightfully soulful voice along with his harmonica chops. HI kids are referred to as “Sugar Babies”. “If I Would’ve” is an upbeat tale about the big “IF” in life. “Candles And Wine” is about romancing delivered over a riff that won’t quit. Hamilton’s voice is super smooth on the mellow soul of “Reason”. Heavy guitar chords, harmonica and tasty slide guitar courtesy of Chris Eger power the crunchy “Ain’t What It Ain’t”. “Breaking Down” is another slow groove R&B tune with a nice guitar solo. “Getting So Big” is a tender remembrance of his mom commenting on his maturation as a slow R&B song. Hamilton breaks out the electric piano for the snappy “Come and Get Me”. Here comes another heavy guitar riff on “Love Can Do”. Nicely done. “Prayer” is a heartfelt ditty that touches the heart strings. It features a lovely soaring guitar solo. “Funky Little Brother” is about what else, all things funky. This one brings the Prince comparison full circle. The “Funky Little Brothers & Sisters Jam” is tacked on at the song’s end. It consists of four of his protégés from the Houston area, raging in age from 13 to 16. Yep, they get funky too. Hamilton manages to assemble a solid funk, soul, R&B record for modern times. Those fond of these genres should find much to like here. He handled the production of his quality musicians. Check it out. R.L. Boyce is a master of the Mississippi Hill Country Blues style. He learned to play music in his uncle Otha Turner’s Rising Star Drum and Fife Band and brings together many years of experience working alongside friends Fred McDowell and R. L. Burnside. This album was nominated for 2018 Best Traditional Blues Album Grammy but lost to the Rolling Stones Blue & Lonesome. Luther Dickinson and David Katznelson produce here by simply setting up the microphones and getting out of the way. Dickinson’s (North Mississippi Allstars) smooth guitar licks accentuate the tracks. Rounding out the album’s lineup is one man band, Lightning Malcom on Guitar; Cedric Burnside on Drums (R.L. Burnside’s grandson); Cedric’s father Calvin Jackson on Drums; and Andre Otha Turner on Bass Drum (Otha Turner’s grandson). On Roll and Tumble there is a penchant for going long, stretching each song out and working it out until the life has been breathed into it and it starts to fly. Each ultimately crashes down to earth after the climax somewhere between 5 and 7 minutes. No sharp endings here. It’s all laughter and R.L. shouting “Who bad?”. The endings are interesting because each musician stops playing at a different time. As the saying goes, it sounds so loose because it’s so tight. The opening track, “R.L.’s Boogie”, puts the listener right on the front porch. R.L.’s clear smooth voice says what’s on his mind. The voice is connected to the guitar, or as he calls it his box. He never learned how to play from anybody else, never practices and always plays in his own tunings. The other musicians tune to him. There is a structure that this first boogie lays out. There’s the motif, then a hanging half riff, and then the full riff turnaround back to the beginning. The slick “Smokestack Lightning” type lines are always original, tied to the vocals, sometimes double, sometimes calling and responding or slightly behind, but always focused, leading to a specific point at which the groove breaks down. Then they go and build it up again. As Boyce says “This is the way Rule used to do.” Rule is a nickname for the other R.L. or Robert Lee Burnside. For Boyce “R. L.” is just his name and doesn’t stand for anything. He wears his influences on his sleeve and lets us know what he’s thinking. It’s all improvised but played close to the vest. There is no jamming here. “Child of God” brings us to the nexus of the Devil and the Church. The Saturday night boogie has brought us to the dawn of Sunday light where the blues becomes the spiritual awakening. With Andre’s bass drum, the stripped-down backing shows us the heart of Fife & Drum picnic style. “Roll and Tumble”, the title track, has an up tempo beat keeping the music light and frisky. It’s a real good one for dancing and keeping your feet moving. With the up-stroked guitars and double drummer racket, this song is the highlight of the album. “Going Down South” was penned by R.L. Burnside. On his A Bothered Mind (Fat Possum 2004) the looped electronically enhanced style was great for reaching out to younger fans. The Boyce version avoids the remixed quality in favor of a more traditional style. There are no mechanical sounds on Roll and Tumble. He keeps it pure the way blues was meant to be. On the closer, “Shotgun”, he comes out and says “Ain’t doing this no more. It may have been OK before, but not now. I ain’t gonna shoot the gun no more.” It’s a clear message that older folks used to be at peace with guns as a part of a rural way of life. He has a way of looking at the problem that does what blues does which is talk plainly about life in a way that makes sense to the individual. He’s not telling people what to do but what he is doing. This is a great way to end a near perfect set of songs where none of them have a distinct beginning and none really have an end either. 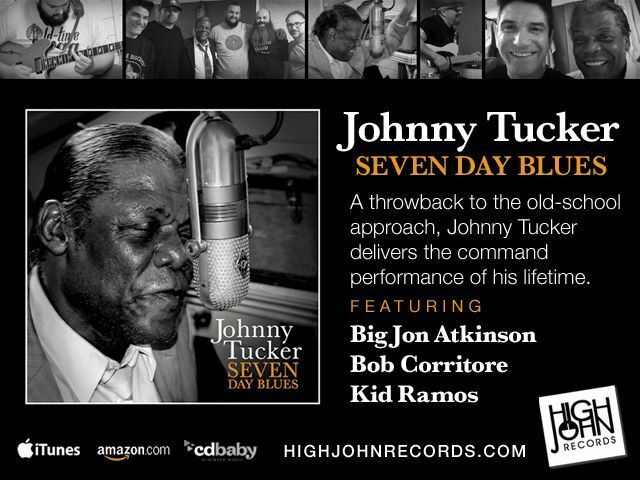 Highly recommended for those who like their blues unadulterated. Reviewer Steve Gabe is a musician Writer Actor Comedian and Lawyer. Canadian Sue Foley has been quiet of late. She has, of course, collaborated with Peter Karp on a couple of albums but it is a long time since we heard a solo effort (2006’s New Used Car) so it is good to welcome her back, particularly as she has returned to Austin, Texas, where she started her career. For this album she has been able to use the cream of Austin musicians, including Jimmie Vaughan, Billy Gibbons, Derek O’Brien and Charlie Sexton who add their guitars to Sue’s; bass duties revolve between Chris Maresh, Johnny Bradley and Billy Horton, JJ Johnson, George Rains and Chris Layton share the drum stool, Kyle Thompson adds a variety of hand percussion and Mike Flanigin plays organ as well as producing the disc. 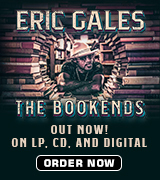 Horns are added to one track by Ephraim Owens (trumpet) and Elias Haslanger (sax) and by The Texas Horns to one other (Mark Kazanoff, tenor, John Mills, baritone, Jimmy Shortell, trumpet and Randy Zimmerman, trombone). Sue wrote all the songs apart from two covers. 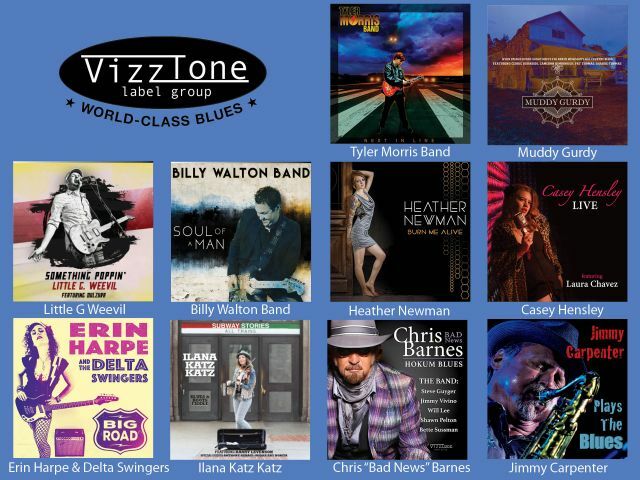 It is no surprise that the overall feel of the album reflects the Texas blues talent on board and Charlie Sexton’s slide is at the heart of “Come To Me” which blends Little Feat funk to a Bo Diddley beat, a fine start to the album. The slower pace, churning twin guitar (Charlie again) and organ swirl of “81” suits Sue’s voice well, Johnny Bradley’s upright bass adds momentum to the frantic three piece rocker “Run” and Billy Horton does the upright honors on the title track, another stripped back trio performance with fine slow blues guitar and possibly autobiographical lyrics: “They call me the ice queen, I’m cool and detached, and all the men agree, I’m too slippery to catch”. Jimmie Vaughan guests on two cuts, sharing vocals with Sue on “The Lucky Ones”, an attractive Texas shuffle with lyrics about the two protagonists’ careers, and handling the guitar duties while Sue concentrates on singing “If I Have Forsaken You”, a ballad with The Texas Horns in discreet support of Jimmie’s sterling guitar work. ZZ Top’s Billy Gibbons adds some harp and guitar to “Fool’s Gold” as Sue and Billy issue a warning about chasing illusions. “Gaslight” is the other track with horns and Elias’ wild sax solo elicits a storming response from Sue. An adaptation of George Brooks’ “Send Me To The ‘Lectric Chair” (originally sung by Bessie Smith) works splendidly with Sue and Derek O’Brien on guitar duties and Mike’s organ to the fore as the rhythm section of Johnny Bradley and George Rains kick up the dust. The album winds down with three quieter tunes the first of which is a trio performance of “Death Of A Dream” which has a late-night jazz feel courtesy of Chris Maresh’s upright bass and JJ Johnson’s gentle cymbal work. The last two numbers are solo pieces of very different styles, both of which demonstrate Sue’s dexterity on the acoustic: the flamenco-flavored “The Dance” and a fine cover of The Carter Family’s “Cannonball Blues” which, ironically, is preceded by Sue’s studio chat which suggests that she had tried the song a few times without success, but this take is brilliant. 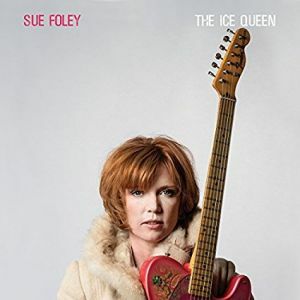 Overall this is a good album and a welcome return to the scene for Sue who shows that she can operate in a wide range of styles from Texas shuffles, slow blues, country blues and even touches of jazz. This is one of those albums that deserves repeat listening in order to best appreciate its qualities. 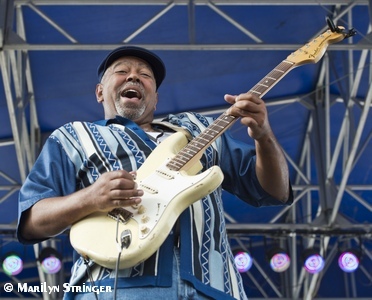 Roger Girke is a singer, writer and guitarist from Wilmington, DE. Roger is a true road warrior, with over 4,000 live shows, concerts, festivals and numerous recording sessions and releases. 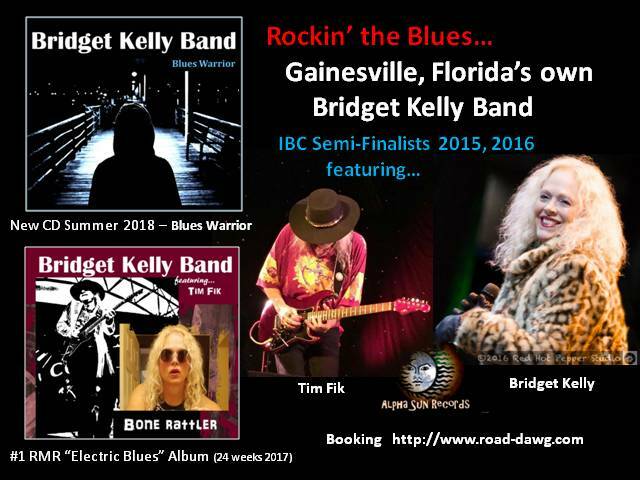 This includes a top ten finalist at the 2009 International Blues Challenge and two time “Self-Produced CD” finalist at the 2005 and 2009 IBC. 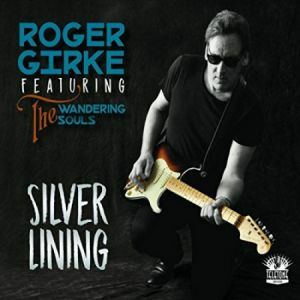 Silver Lining, his fifth CD release, includes nine originals and two covers, with Roger handling the guitar and vocals on all tracks. 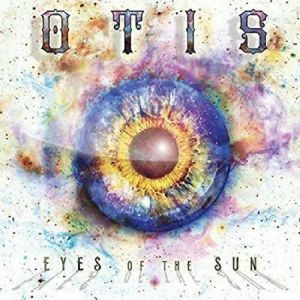 His band for this CD, The Wondering Souls, include Glenn Ferraccone, Drums; Tam Sullivan, Keyboards; Bennett Sykes, Bass; Andrew Haley, Drums; and Dan Gutwein, Sax. Guest artists include Jimmy Pritchard, Bill Schilling, John Swana, Chris Farr and Joe Anderson. 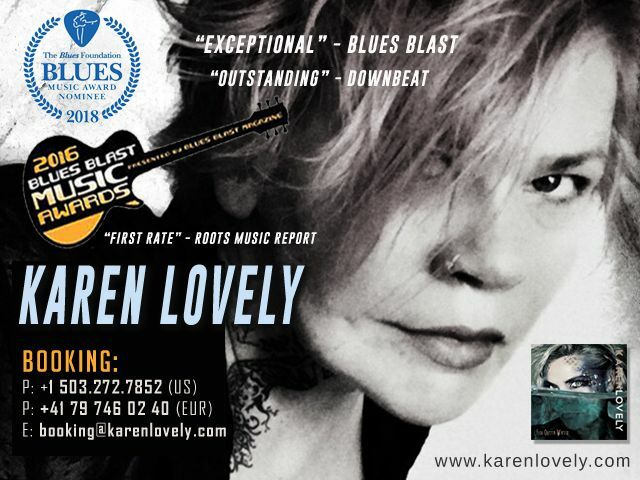 Silver Lining, offers the listener a well-crafted collection of Blues and R&B songs. A couple of highlights include the following tracks. The opening number, “Gas And A Match” starts the CD off with a bang. It features vocals and guitar from Roger and lets Dan Gutwein stretch out a little on his Sax. When Roger sings “Sometimes We Burn So Hot, Sometimes We Just Don’t Catch” I think we all know what he’s talking about. With Roger’s soulful vocals and Dan’s sax “Ring My Bell”, another original song, has a classic Stax R&B groove. One of the two instrumentals on the CD, “The Philly Boogaloo”, offers guest artist Bill Schilling some time to shine on organ, and he delivers throughout the song. Other standout tracks include the title track “Silver Lining” a slower number with Roger and Dan trading guitar and sax solos. “Soul Food Cookin’” again features Bill Schilling on organ and a piano solo from Tam Sullivan. The band does a nice version of Lloyd Price’s “Baby Please Come Home”, with some more tasty guitar work from Roger and Tam Sullivan’s Keyboards and Dan Gutwein’s saxes keeping the groove. The band also offers a nice take on Larry Williams’s “Slowdown”; including John Swana on trombone and Joe Anderson on Trumpet really add to the song. With Silver Lining, Roger Girke has continued his growth as an artist and writer. He has produced a well-crafted set of original songs with two thoughtfully chosen covers. Roger and his band are solid throughout. I really liked Silver Lining; and there is not a weak track on the CD. Blues and R&B fans will find a lot to like. Reviewer Donald Luisi is a librarian at Robert Morris University, in Moon Township, Pa. 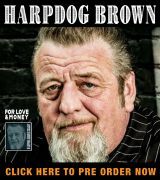 He also hosts a weekly 2 hour Blues show, “Damn Right I Got The Blues,” on the University’s internet radio station, RMURadio.com. Blue Monday Schedule: April 16 – Harper and the Midwest Kind, April 23 – Paul Bonn and the Bluesmen, April 30 – The Joe Tenuto Band. For more information visit www.icbluesclub.org.